College Avenue Library « Davis & Associates, Inc. Located on the near-north side of Indianapolis, Indiana, this new library is a vital part of the rehabilitation of an area of town easily forgotten by most. 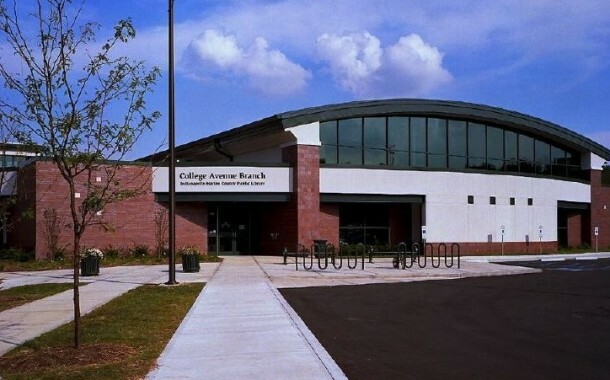 The College Avenue Library sits across the street from, and was proceeded by two other recent community stabilization efforts, a Police Station and Fire Station. The library offers much more to the community than increased literacy. There are meeting rooms, a concession area and Technology Center which makes it a total communal center, bringing people from all walks of life and generations together.